Why choose Classic Roller Shutters? Dieter Bernsman, the owner and operator of Perth Roller Shutter business Classic Shutters has thousands of happy customers and promises product and service excellence. We know that quality installation of a quality product will give decades of hassle free operation. Our roller shutters are made with virgin aluminium parts from Alulux in Germany, not recycled problematic aluminium, and we use German engineered motors for long lasting reliability. Plus our box profile is the smallest available. 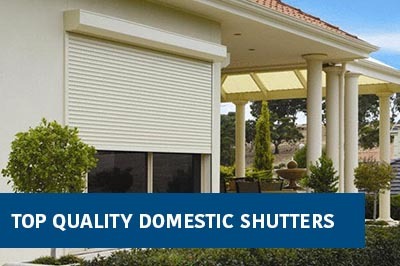 Classic Shutters is a West Australian family owned business. 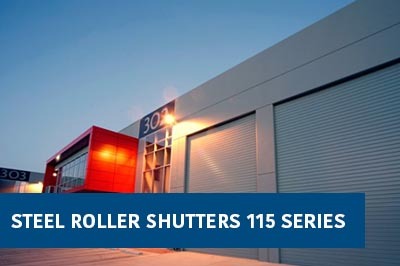 Having worked installing and manufacturing shutters for 15 years we made the move to go into business ourselves in 2000 and provide West Australians with the highest quality roller shutter components, installation and servicing. Crime is on the increase in Western Australia, especially home invasions and theft. Security alarms are important, but can be a noisy nuisance. Often, No-one takes any notice when they’re activated – and the monthly fees for monitoring and guarding are exorbitant. Roller shutters have been found to deter thieves more than an alarm. A barking dog is another noisy nuisance with neighbours more likely to complain to council than call the police. Walls, hedges and fences provide effective cover for criminals to hide behind - actually making their ‘job’ easier rather than preventing them from entering your property. Traditional security screens and ordinary window locks are no longer effective against the new breed of brazen criminal, who don’t hesitate to smash glass or use a crowbar. What you need is complete peace-of-mind that your family and your assets are totally secure. Deterring criminals is the best way to stay safe – and there’s no better prevention than a secure roller shutter from Classic Shutters. Our roller shutters are much more than just a visual deterrent however – they will actually do the job. The auto locking feature prevents windows from being opened or smashed, and once fully closed and locked, the shutter cannot be lifted. They also have a built-in security bar at the base of each shutter which provides additional security at no additional cost. See videos below. With a roller shutter from Classic Shutters, you’re in total control. Let the light in or black it out. No more tatty awnings, faded curtains or shabby sheers – from gentle filtered light to total darkness, you’re in charge. The innovative design allows the slats to be operated at any height, so it’s as easy as child’s play! Tired of hearing the constant drone of traffic ? Fed up with the incessant yapping of the neighbourhood dogs? Jet engines driving you mad ? Excitable kids testing your patience ? The early riser next door mowing his lawn or vacuuming his car spoiling your weekend lie-in? Baby waking up all the time ? Bring peace and serenity back to your life. A roller shutter from Classic Shutters can reduce noise levels by up to 50%. Sun, rain, hail, wind and dust..... even radiant heat from bush-fires - a rollershutter tames all the elements. But don’t only take our word for it. 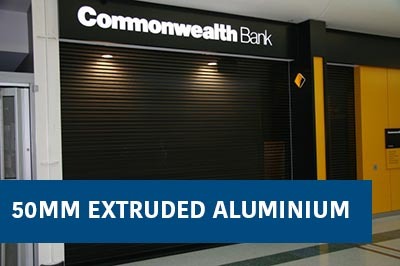 The CSIRO Appraisals Technical Assessment 329 states that aluminium rollershutters satisfy the requirement of level two construction for protecting window openings from radiant heat in a high category bushfire as defined in AS 3959 – 1000 Construction of Buildings in bushfire-prone areas. Increasing densification means we’re living in closer proximity to others than ever before. Blocks are getting increasingly smaller and we’re getting up close and personal with our neighbours...but do we really want them watching every our every move ? Installing rollershutters on your windows will protect your privacy without compromising the looks or functionality of your home. Perforations in the slats allow constant ventilation and airflow through open windows, as well as allowing effective operation of airconditioning systems. The need to make eco-friendly lifestyle choices are all high on the global agenda and there is increasing emphasis is on designing and building homes that minimise the impact on the environment. Western Australia has led the way by introducing rules and regulations that govern the insulation of homes with double bricks now standard for new constructions, mandatory roof insulation and recommended tinted window glass. The majority of heat or cold transfer takes place through windows, but a rollershutter can reduce this by up to 90%. Roller shutters can also slash the running costs of an airconditioning or heating system by up to 40% -.which means you’re saving both your wallet as well as the planet. 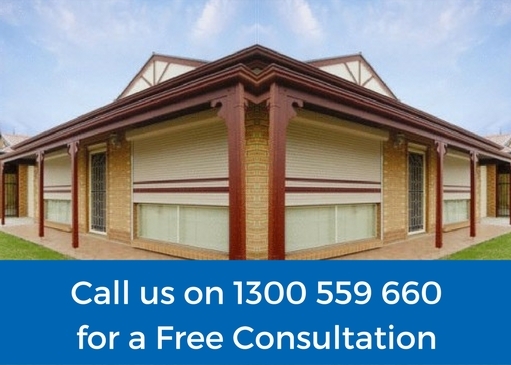 Rollershutters will not only enhance your lifestyle but will add value to your property too. For a minor investment, you will get a major return ...and when the ‘For Sale’ sign goes up outside your home, your rollershutters could well be the value-add feature that clinches the deal. Once people have experienced rollershutters...they’re sold on them. No being messed around with 50% offers we give you an honest price. Plus, our quality is unsurpassed. Our virgin aluminium is Guaranteed not to fade, warp or rust. In Perth's coastal environment, get the best to last. Enhance your lifestyle whilst being kind to the Environment. Save with less heating and cooling energy needed. My reputation is everything to me. I measure and offer the best quote with no sales pressure. See the difference between poor quality PVC versus aluminium as you watch through this video. Breaking in goes from easy to very very hard. I am so pleased! They were professional, prompt, very fair pricing, great providers of information, It was a fabulous job. I will certainly be referring others with shutter problems to Classic Shutters. I'm one very happy customer. They were on time, price was good and they did an excellent Job - Hi Pages. Said they would fit me in on Friday and even though they were running late, they still turned up and worked after hours to do my job. I'm very thankful and satisfied. He was wonderful, he did a good job, he was straight up with the cost and was able to do the job when he came out. Dieter has been a long-term customer of our German engineered roller shutter motors and we experience weekly his commitment to quality products and professional service to his clients. Connected with Classic Shutters through Hi Pages. and we have confirmed that we would recommend them.